Director Shankar - Actor Vikram's I - First Look! The star power of Ajith Kumar is working big time again. Despite getting mixed reviews from critics and audience, the movie has made a stunning business at the Box Office in the first weekend. According to the traders, Billa 2 has earned around Rs 19 crore nett in the first weekend in Tamil Nadu. 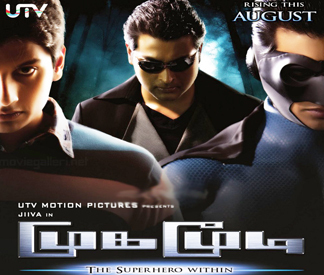 The movie, which was released on July 13, ran into packed houses in most of the theatres in Tamil Nadu. On an average, the occupancy at cinema halls for the movie was 95% in single screens as well as multiplexes. As far as the international Box Office is concerned, the movie has collected approximately Rs 30.69 lakhs (UK£35,930) nett at the UK Box Office on the first day and on Saturday, it raked in approximately 17.61 lakhs (£20,620). At Australian Box Office, it has collected approximately 13.72 lakhs (A$24,469) and 8.90 lakhs (A$15,874) on Friday and Saturday, respectively. At the US, Billa 2 grossed 35.10 lakhs and 22.09 lakhs approximately on Friday and Saturday at reported screens and the figure might be bigger when the complete report is out. Jiiva is Kollywood's own Bruce Lee. And he's going to be pitted against the revengeful Dragon, Narain. Before you let your imagination run wild, let's tell you we are talking about their characters in Mugamoodi, directed by Mysskin. The film, a superhero story, has Jiiva and Narain playing the protagonist and the antagonist, and to create a hype, the makers have called their characters Bruce Lee and Dragon. The makers have even printed an invitation to the audio launch with the character names. While Pooja Hegde will play Shakthi, also Bruce Lee's goal in life, veteran actor Girish Karnad plays the Grand Father, a scientist. The audio will be launched in city on July 20, and will have Vijay and Puneeth Rajkumar as the chief guests. 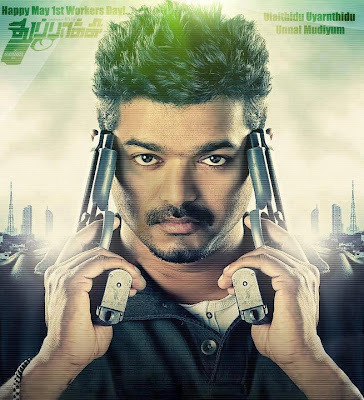 Vijay starrer Thuppaki has been witnessing one problem after anoither after it went to floors. Initially there were some troubles over the first look poster of the movie as a section of people including Pasumai Thayagam activitsts objected to Vijay appearing smoking a cigar. Then a title trouble followed and case was filed at a court in Chennai. Vijay fans are eager to know when the movie would hit the screens. Kalaipuli S Dhanu, the producer of Thupakki has announced that he will take a call on release date after the title issue matters are sorted out. Sources say that Thupakki might be Vijay's big solo Diwali release. The talkie portion of the film is over and only two songs remain to be shot. 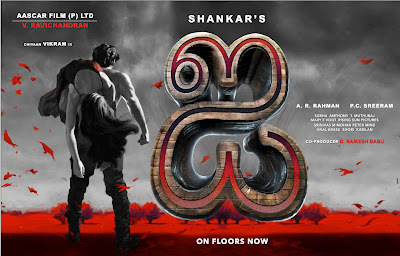 The first look promo of the film will come out shortly.